USS Texas; photo by Tabitha & Simon Chasing the Dream on Flickr (noncommercial use permitted with attribution / share alike). The U.S.S. Texas is a national historic landmark placed under the stewardship of Texas Parks and Wildlife Department. 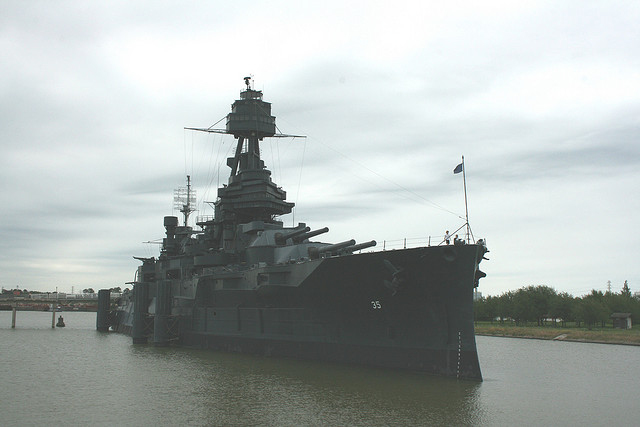 RESOLVED, That the 74th Legislature of the State of Texas hereby designate the battleship Texas as the official State Ship of Texas.